Courses provided in India play an important role in the professional life of an individual. Studying a particular topic within a wider subject area is known as course. A course is the source to build the qualification. Many courses are offered in India such as 10+2 (intermediate), under graduate (Bachelor’s degree), post graduate (Master’s degree), diploma, certification courses, associate degrees, Licentiate degrees, Specialist degrees, Logistician’s degrees, Engineer’s degrees, Professional Doctoral degrees, Research Doctoral degrees, M. Phil, PhD, etc. In fact student can find numerous courses both at under graduate and post graduate level. Some of the courses offered in India are Bachelor of Commerce, Bachelor of Mass Media (BMM), Bachelor of Arts, Bachelor of Home Science, Bachelor of Science, Bachelor of Science (IT), Bachelor of Fine Arts (BFA), etc. Under graduate is the first degree which the student studies, for instance, Bachelor of Arts, Bachelor of Laws. Diplomas and Certificates courses also come under undergraduate qualifications. A graduate is the student who as done with the under graduate degree and been awarded it. Aspirants who have done with the bachelor’s degree, i.e., graduates, can only go for post graduate courses. 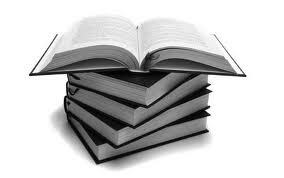 Since post graduate courses are of advance study of under graduate courses. Courses are offered in various streams such as Arts & social science, law, engineering, medical, commerce or journalism and mass communication. Some of the courses offered in India are Bachelor of Commerce, Bachelor of Mass Media (BMM), Bachelor of Arts, Bachelor of Home Science, Bachelor of Science, Bachelor of Science (IT), Bachelor of Fine Arts (BFA), etc. Any aspirants can go for any of the above courses after successfully completion of their intermediate or 10+2 examinations. Basically bachelor’s degree or under graduate course in India are of three years whereas some of the medical and engineering bachelor degree programs are of four to five years. The person who cannot go for regular course can opt for distance mode education through open universities. So, there won’t be any pause in education. Hurry up!! Enroll your name and earn worth full degrees. StudyguideIndia wishes you a very best for career ahead.